Overview... an odd-looking creature very far from home. 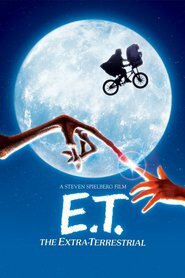 Stranded in California when his alien friends flee from United States government agents, E.T. is found by a young boy named Elliott, and the two of them become best friends. Elliott teaches E.T. about humans while E.T. teaches Elliott about his healing powers. In some ways, their bond becomes stronger than any connection between two humans could ever be. Personality… confused at first, but caring and even wise. E.T. knows nothing of the human way of life and is initially frightened by our technology. Luckily, he’s a fast learner with awesome abilities that Elliott could never dream of. After Elliott and his friends overcome their fear of his strangeness, E.T. is accepted as a part of the family and learns how to love. E.T. 's popularity ranking on CharacTour is #167 out of 5,000+ characters. See our top-ranked characters and read their profiles.